Professor Steve Pincus discusses his interpretation of the Declaration of Independence. A prominent scholar of early modern British history proposed a new interpretation of the Declaration of Independence and its implication for the U.S. government at a talk on campus Monday. Steve Pincus, a history professor at Yale, spoke on Monday at the Seminary Co-Op Bookstores about his latest book, The Heart of the Declaration: The Founders’ Case for an Activist. 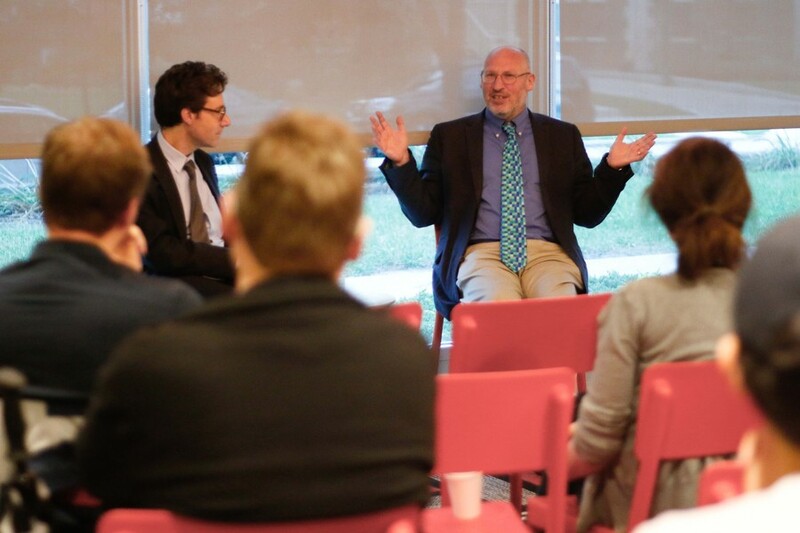 The discussion was moderated by Eric Slauter, an associate professor in the English department. After the discussion, Pincus offered advice for other historians as well as insight into the creation of his book. He noted that historians tend to focus too much on finding new information, and be too antiquarian. “I felt the obligation to bring the fruits of my research to a broader public,” Pincus said, stating that he speaks on behalf of the 18th century in his book. “I based this book on archival research, which is significantly different than other books about the Declaration. I want to try to stimulate new kinds of research, and raise new questions. I wrote this book to try to open up new interpretive terrains. I wanted the book to be accessible for people that didn’t know the first thing about this particular issue, but also be interesting for those who did,” Pincus said. After the discussion, Pincus opened up to questions about his book and specific events or ideas from the 17th and 18th centuries. Multiple audience members approached him with detailed questions concerning the issues of slavery and activist governments. He spoke passionately about these topics, and went into some detail about his Washington Post article about Brexit. His book is currently available for purchase in the Seminary Co-Op Bookstores.